For Father’s Day I took the family to the tree store here, probably for the last time, since we’re moving next month. In Chattanooga, where we are moving, I’m sure there are nurseries with a large variety of stock, but I haven’t found them yet, and I didn’t want to risk moving there and not having access to a few key trees I definitely wanted in my landscape, so, I bought them now. 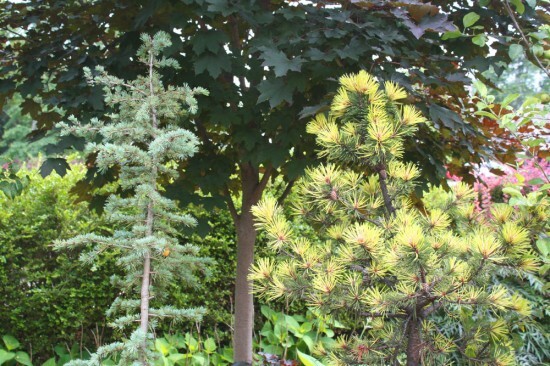 The first I absolutely had to have is pinus contorta ‘Taylor’s Sunburst.’ I’ve blogged about this tree several times before, it is one of my favorites. It is a lodgepole pine that grows slowly and that has candles (the new spring growth) of bright banana yellow, constrasting with the green mature needles. I also, just generally, like the overall growth habit of lodgepole pines vs. something like the eastern white pine. 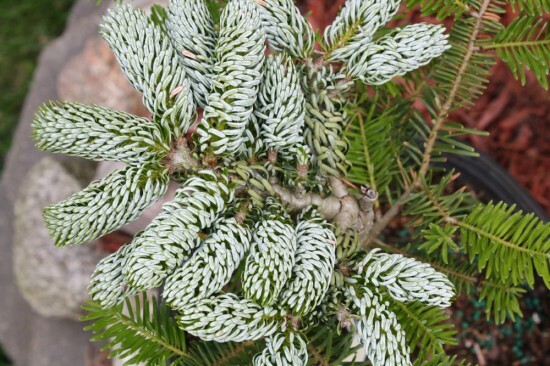 I knew I could buy this tree online, but it’d be a small sample not very tall at all, if I wanted one big enough to make a statement I would have to find it from a nursery, and the ones I called in Chattanooga had never heard of it. 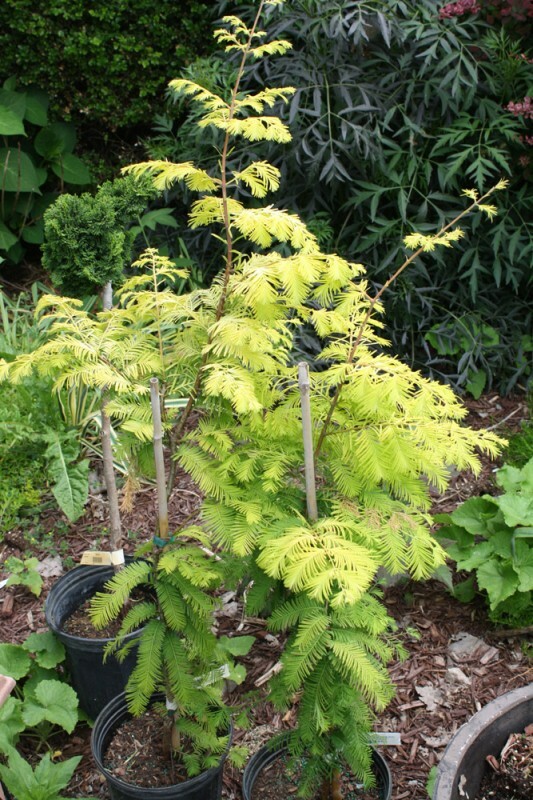 Then I also wanted metasequoia glyptostroboides ‘Gold Rush’ also known as dawn redwood, or dinosaur tree. Once thought to be extinct, a few were found growing in a valley in China not that long ago. Gold Rush is a cultivar with bright golden foliage. Similar to bald cypress these trees get really complex and beautiful trunks, one of my favorite features. Overall I am very partial to deciduous conifers like this (conifer trees that lose their needles each winter), bald cypress, larch, etc. I guess I just like short needle conifers as they all tend to have short feathery needles. Again I phoned and emailed nurseries, it looks like the species metasequoia are available, but not ‘gold rush’ and I wanted ‘gold rush’ so I bought two. ‘Gold rush’ does not grow as large as the species variety, but that bright golden foliage that doesn’t fade in the sun is hard to beat. People love large trees with bright foliage in the fall, this one gets it all growing season long. I also came home with two trees I did not expect to buy. The first is a standard form hinoki cypress. I don’t know why, but hinoki cypress always appeals to me more than other chamaecyparis or related arborvitaes, the orientation or twist of the foliage I think. In anycase, I saw a very very nice topiary hinoki cypress that I think had to have been grafted, where they got this big old tree, and grafted tufts of dwarf hinoki on it, then cut off the rest, it was gorgeous, but pricey and I was running out of room regardless. I also saw a very nice “top and flop” double graft with the upright dwarf hinoki grafted on top and a weeping gold variety of chamaecyparis or something similar grafted below. This again I did not buy, running short on room. I did settle on a cheaper and smaller standard form hinoki cypress just an impulse buy. We completely filled the truck on the way home, and though I wish I could have bought more (it is a huge nursery, the biggest in the midwest I’m told, and I’d love to just be able to say “one of everything please”), I wouldn’t have had any room.